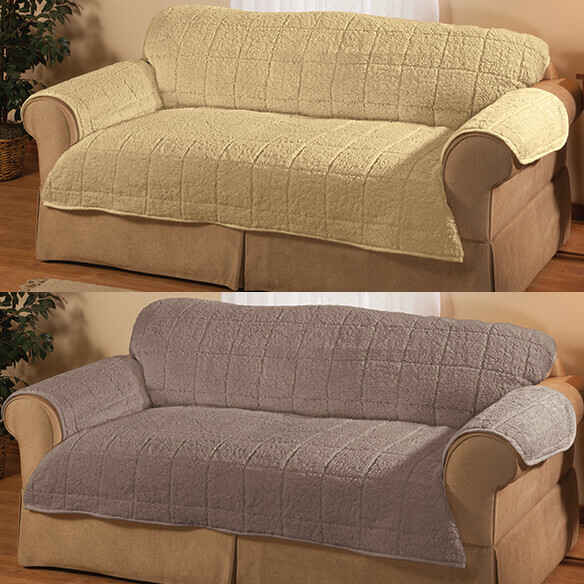 Extra-plush, non-slip, water-resistant protector keeps your sofa clean and cozy. 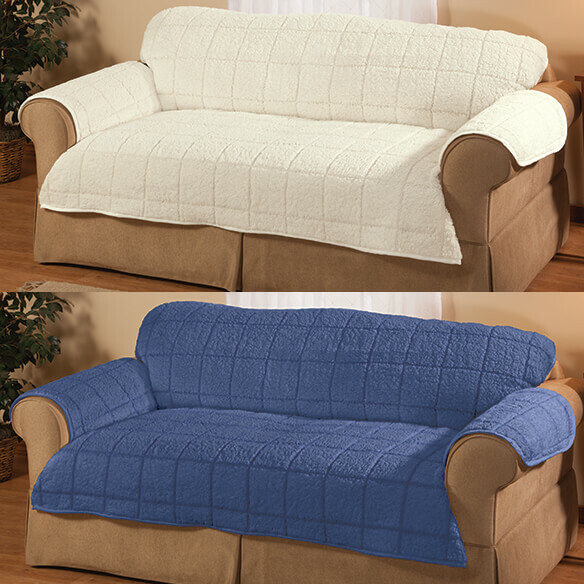 Improved design features soft and durable stitched quilted polyester sherpa and a slip-resistant non-woven backing. 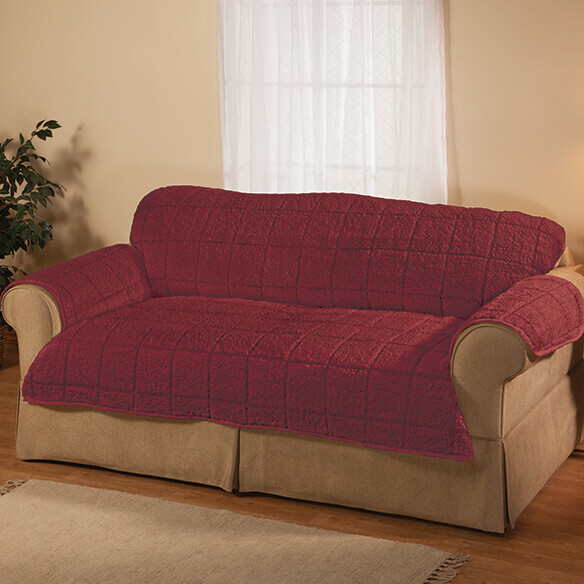 Crafted with OakRidge™ quality, it gives furniture a fresh look while protecting from spills and stains. 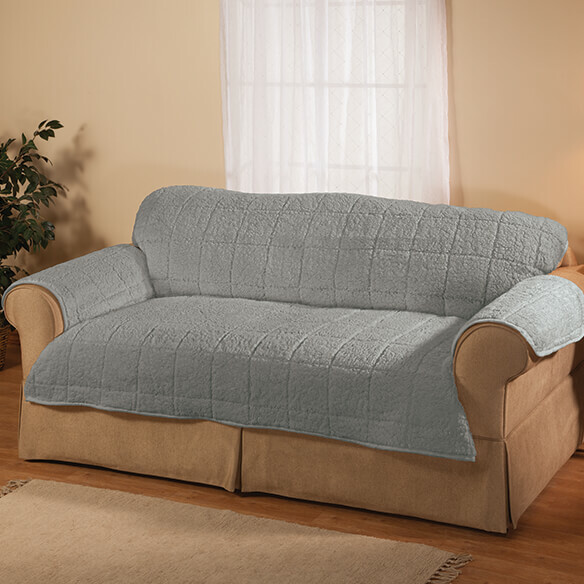 Elastic straps and thicker flaps help it stay in place when you tuck. is width for seat & back measurement from arm to arm of sofa or top of couch back to seat on sofa? BEST ANSWER: Thank you for your question. The seat is 36 1/2"L x 68"W. Back is 39"L x 68"W. From arm to arm its 36 1/2" L. We hope this information will be of help to you.